Deadline for submitting your projects is Wednesday, July 2nd, at 11:59 PM U.S. Central Time. This is Mary Anne, your hostess this week. Our theme, "Get Krafty". 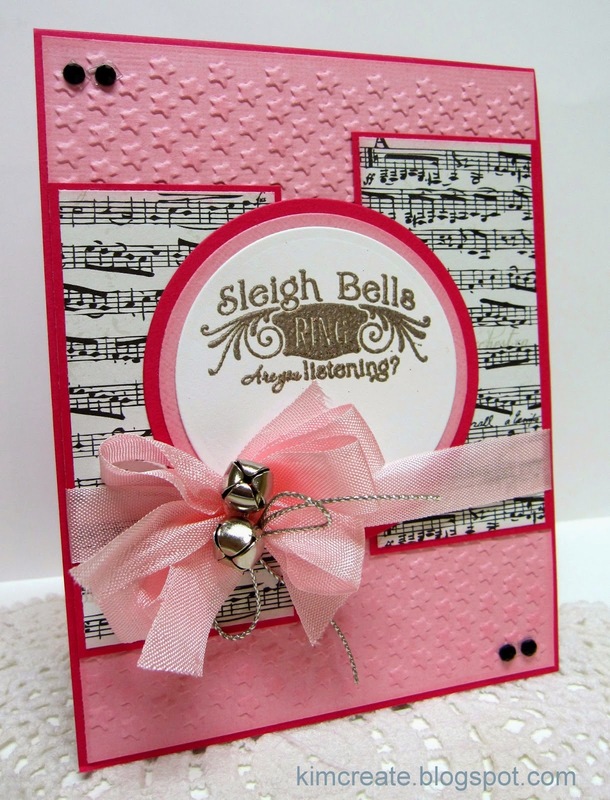 This means we want to see a stamped project using kraft colored paper. If you don't happen to have any kraft paper at hand remember grocery bags work great. You can find the rules for participating in our Weekly Inspirationals HERE. 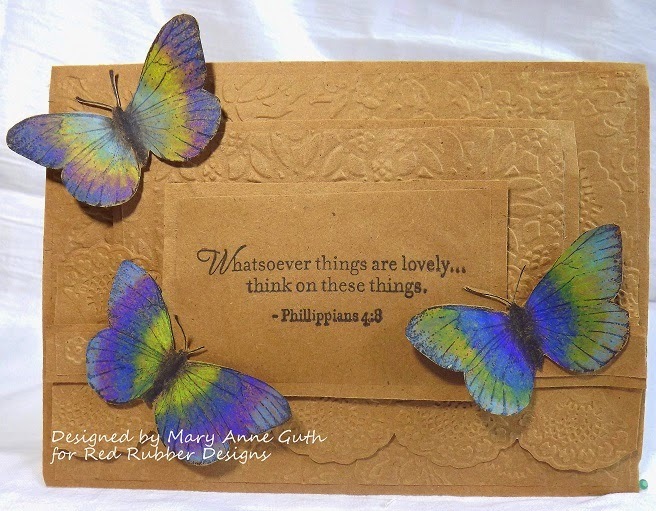 As an example, I've created this card featuring a scripture quote from the Lovely Peony Stamp Set and a gorgeous butterfly from the Moths Stamp Set from Red Rubber Designs. 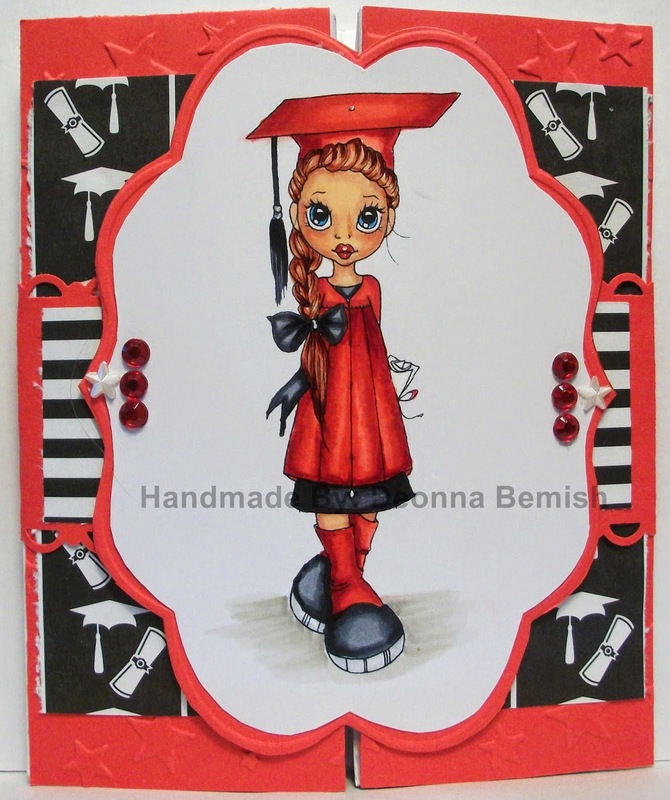 Paula-Kay created this super card using the Every Road Stamp set from Red Rubber Designs. 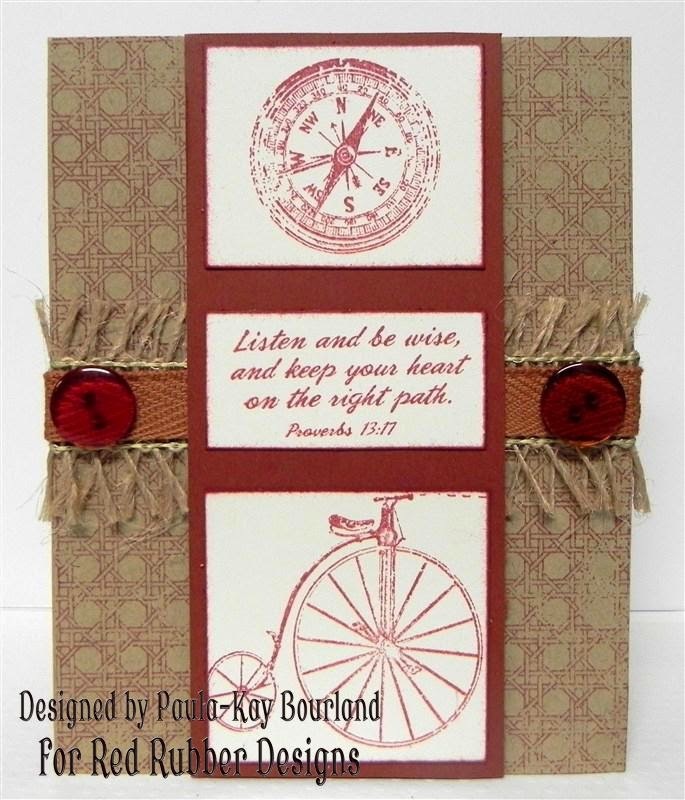 Here's a Inspirational from Kendra Sand using Fancy Curls and Savvy Sayings Stamp Sets from Red Rubber Designs. After Each Inspirational, the Inspiration Team will choose three projects from those submitted via the link-up tool below which we think best reflect the theme of the Inspirational. Each artist whose project is chosen receives a special Inspiration Badge they can display on their blog- and we'll showcase these projects each Monday following the end of the Inspirational! Thank you to everyone who participated in our Inspirational #124! Congratulations to the creators of our three Inspiration Projects from Inspirational #124! 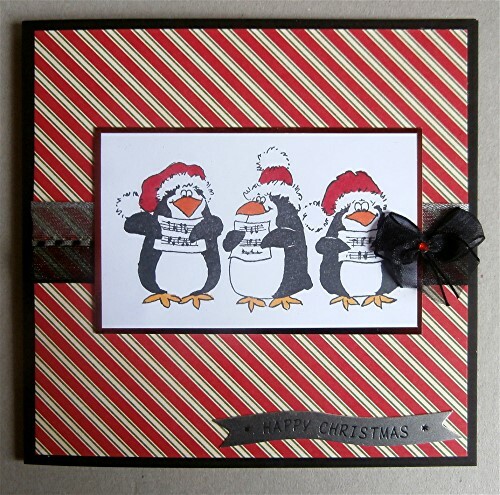 You won us over this week with these caroling penguins on this fabulous card. 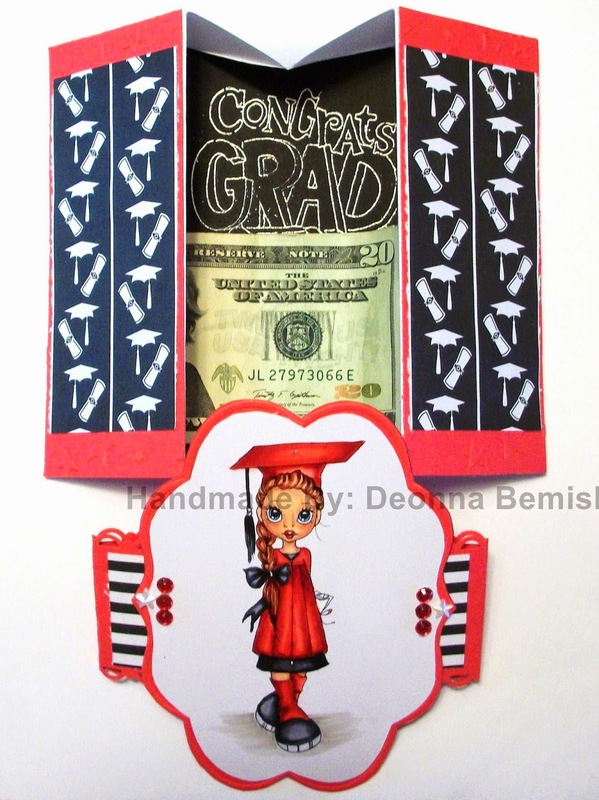 The stripped paper and wonderful bow really draw your attention to the stamped image! The large treble clef and amazing colors grabbed our attention on this card. The black, blue and yellow color combination of elements in a triangle shape around the sentiment really make this a wonderful card! Lets face it...rocker chicks rule!!! 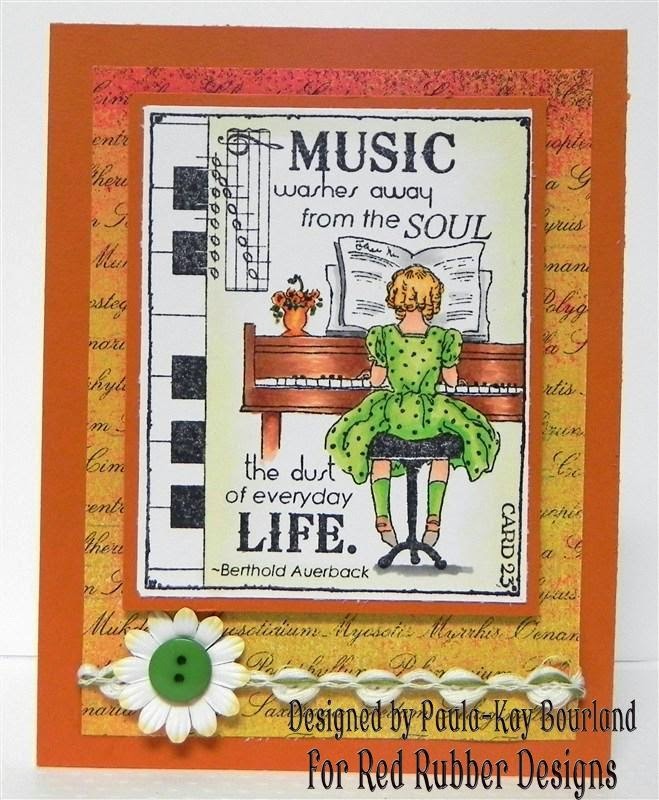 And this card is piled high with musical influence with stamped images and papers that really brought out the Music in all of us! 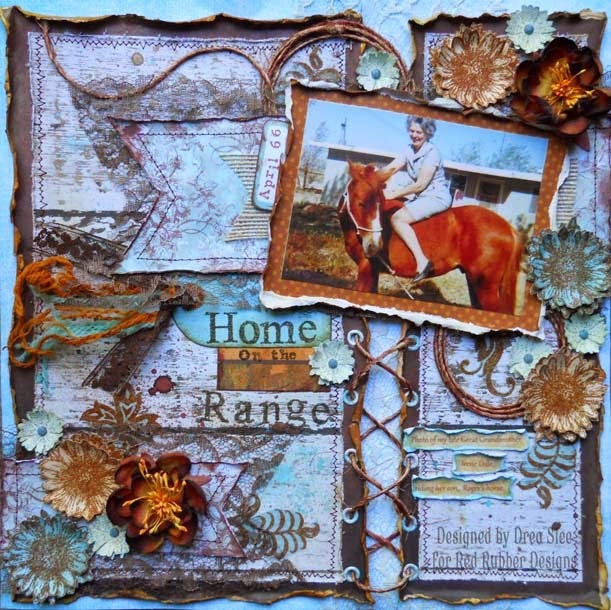 There is still time to join in our current Inspirational #125 Emboss It hosted by Andrea. Please link up your project by 11:59 PM (U.S. Central time zone) on Wednesday, June 25, 2014. And don't forget our next Inspirational starts on Thursday, June 26, 2014!! Inspirational #125: - Emboss It! Deadline for submitting your projects is Wednesday, June 25th, at 11:59 PM US Central time. Drea here hosting this week's Inspirational! 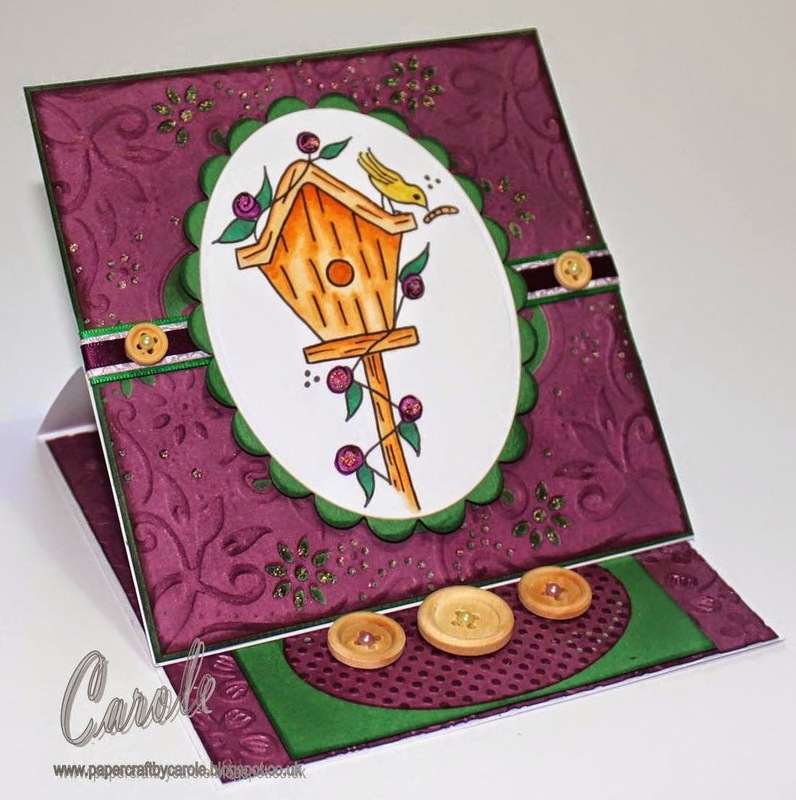 Our theme this week is all about embossing! 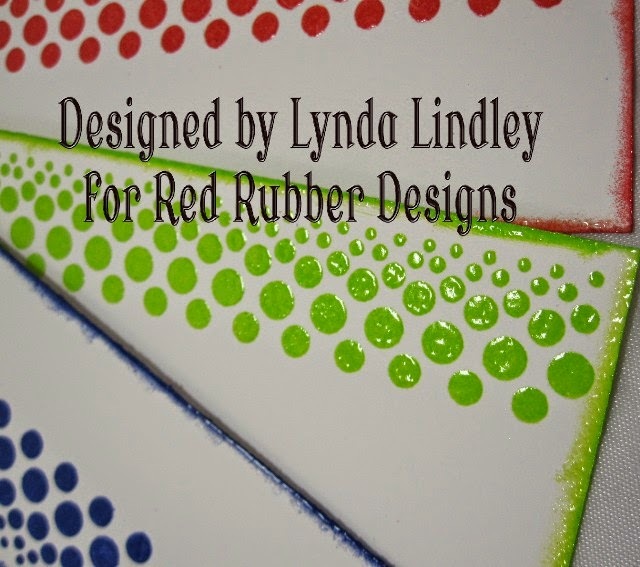 Embossing is a great way to really enhance your stamping and give it some extra dimension and texture! 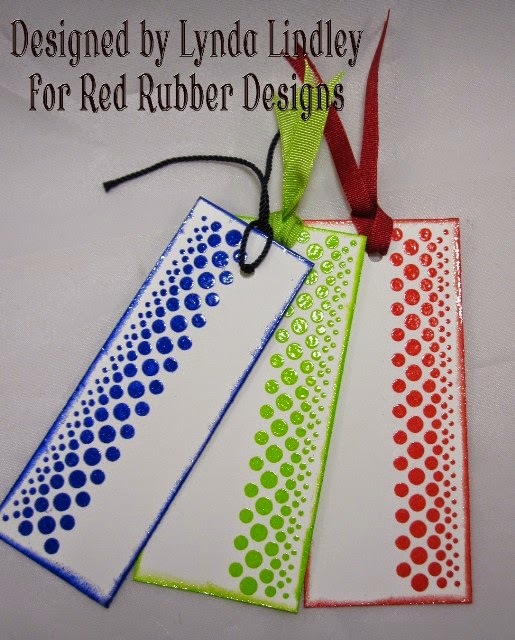 So break out your stamps and embossing powders! I sure did with this vintage layout I made of my late Great Grandmother. I used Palette Ink (Burnt Sienna) to stamp the Victorian Vines Background onto the banners, and to stamp the date using Mini-Bet. 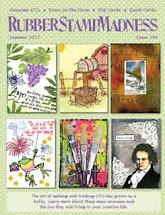 I used Distress embossing powder (Walnut Stain) for the title using Distressed Typewriter Bet. I used white embossing powder on the small flowers using Pressed Flowers. The rest of the embossing was done with Distress embossing powder (Vintage Photo) using Nothing is Better for the sunflowers, Reinforcers for the tag, and Bold Flourishes for the flourishes that I embossed onto light blue vellum. 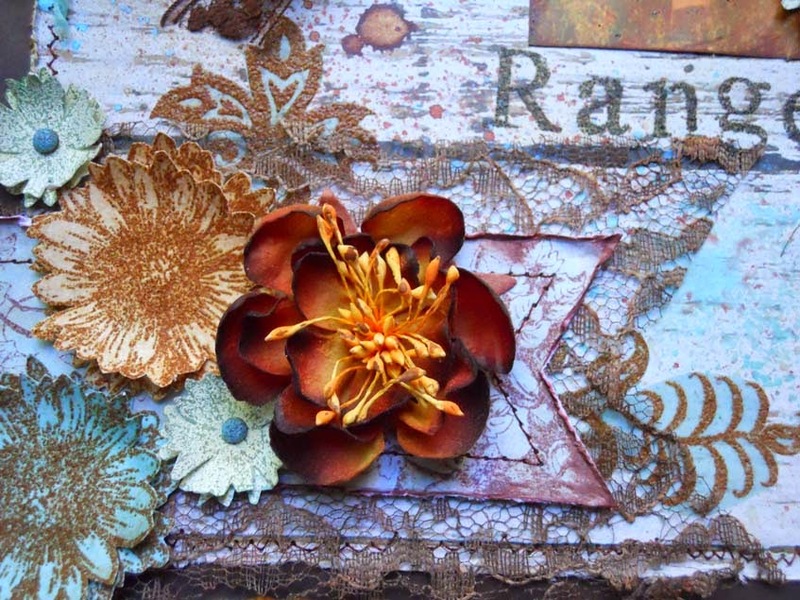 I also used Distress embossing powder (Broken China) on the brads on the small flowers and the eyelets, which I laced with rope inked with Palette Ink (Burnt Sienna). her daughter wrote her name and phone number on the back of them and gave them to friends she wanted to stay in touch with over the summer months. 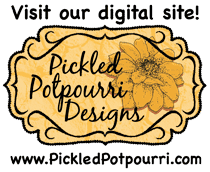 I hope your are inspired by my Inspirational this week and link up a newly created project to this post by the deadline! We look forward to seeing what you create!! Thank you to everyone who participated in our Inspirational #123: Dad! 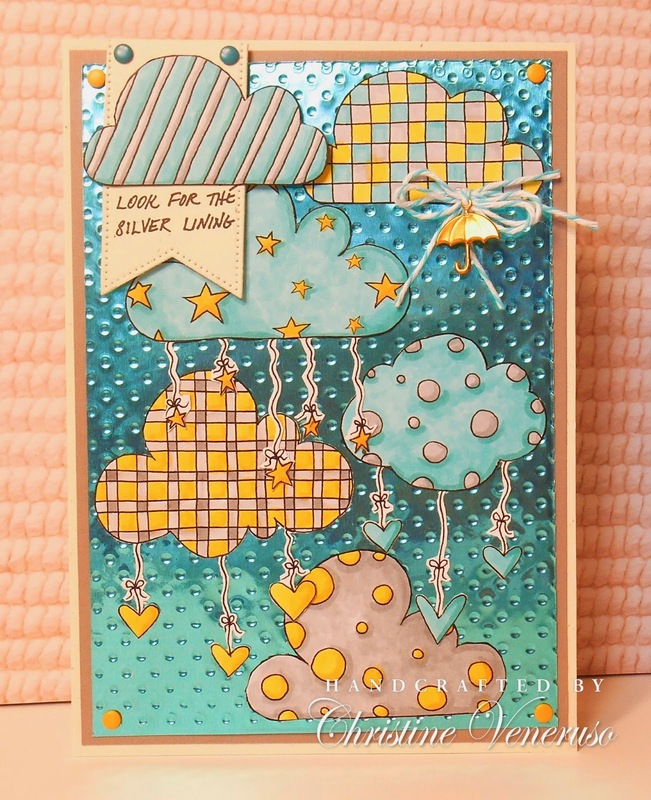 Congratulations to the creators of our three Inspiration Projects from Inspirational #123! This image screams dad! The paper adds the perfect touch! What a fun shaped card!! Great design! What an adorable image, just love the added tag on the frogs leg! There is still time to join in our current Inspirational #124: Music In Me hosted by Lynda. Please link up your project by 11:59 PM (U.S. Central time zone) on Wednesday, June 18th. And don't forget our next Inspirational starts on Thursday, June 19th!! Deadline for submitting your projects is Wednesday, June 11 at 11:59 PM US Central time. This is Kendra hosting this week's Inspirational! Our theme this week is all about Dad! With Father's Day around the corner, lets see those projects for dad! What makes you think of him? One requirement is....we need to see a "Dad", "Papa" "Pa" "Pops" or "Happy Father's Day" sentiment on project. My dad, husband and father-in-law all love fishing! 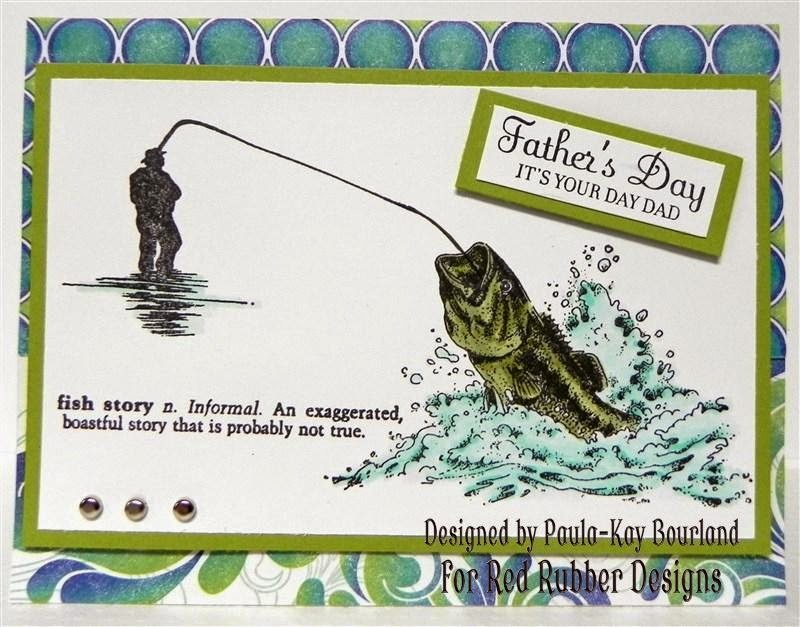 So I knew I had to create a Father's Day card using the Relax and Fish Rubber Stamp!! 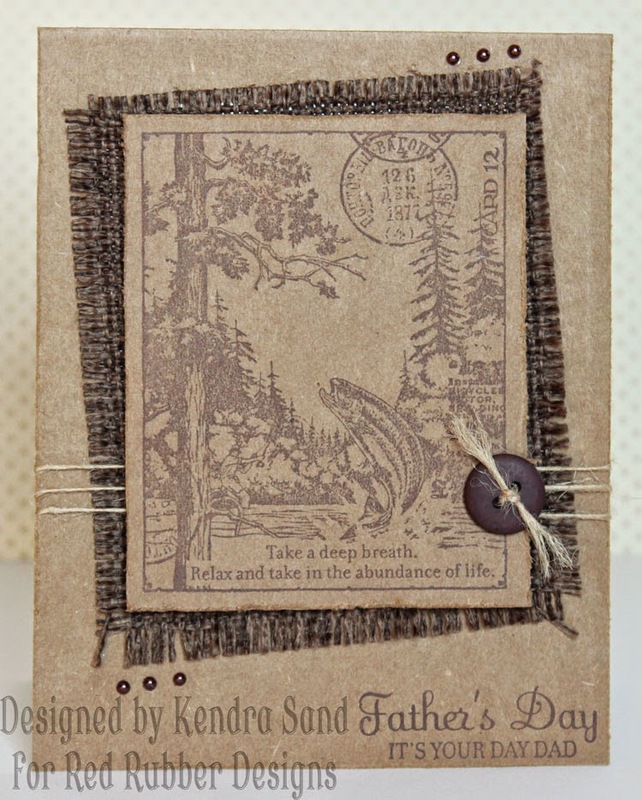 The Father's Day sentiment is part of the Contemporary Greetings set! She used the Fish Story set, another great masculine set!! 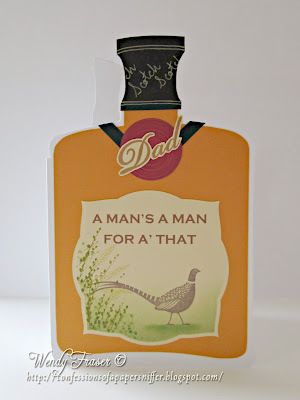 As well as using the same Father's Day sentiment from the Contemporary Greetings set! 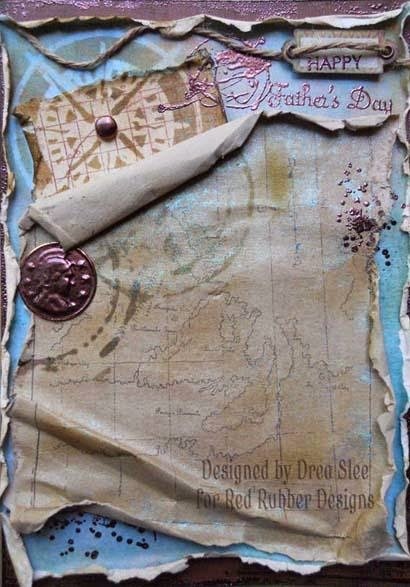 Shes combined these great sets for this card: Contemporary Greetings, So Splattered, Vintage Background, Background Soup and Ancient Map Background!